David E. Bokovoy, “‘Thou Knowest That I Believe’: Invoking The Spirit of the Lord as Council Witness in 1 Nephi 11,” pg. 1-23: Bokovoy explores the exchange between Nephi and the Spirit in 1 Nephi 11 in light of Israelite and ancient Near Eastern scribal techniques, finding temple and divine council motifs. Mark Alan Wright and Brant A.Gardner, “The Cultural Context of Nephite Apostasy,” pg. 25-55: More progress needs to be made in understanding the Book of Mormon from a Mesoamerican context, and Wright and Gardner are on the forefront of that effort. Here, they look at the features of Nephite apostasy and find that those features make sense in a Mesoamerican context, and indeed that this socio-cultural background sheds light on why apostasy took those particular forms. William J. Hamblin, “‘I Have Revealed Your Name’: The Hidden temple in John 17,” pg. 61-89: A force to be reckoned with in the early years of FARMS, Hamblin (by his own account) had been considerably marginalized by the powers that be at the Maxwell Institute. 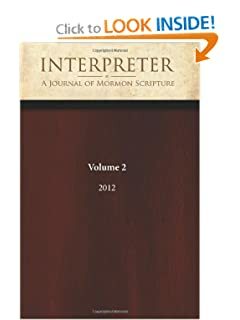 With the rise of Interpreter, Hamblin has a new outlet, and he is already producing some fascinating work. In this article, Hamblin argues that the final discourse of the Savior, found in John 14-17, is a temple text, noting the presence of 6 temple themes. John L. Sorenson, “An Open Letter to Dr. Michael Coe,” pg. 91-109: Coe was featured on a podcast in 2011 wherein he rehashed arguments he made in the 1970s against the Book of Mormon, paying no heed to the work that has been done since the ’80s – the watershed decade for Mesoamerican Book of Mormon studies – that addresses the issues he raised in 1973. Sorenson takes him to task for this, and in the process provides a nice addendum to his other work on Book of Mormon geography and culture. Sorenson is another scholar who had become less involved in the last decade or so, but seems to be reemerging, if only for the sake of pushing his forthcoming book. Roger Nicholson, “Mormonism and Wikipedia: The Church History that ‘Anyone Can Edit’,” pg. 151-190: Wikipedia is largely regarded as a “neutral” source for information on the Church, so it is helpful to have Nicholson share a little bit of what goes on behind the scenes and how various parties try to work biases (either for or against the Church) into the articles. Steven C. Harper, “Evaluating Three Arguments Against Joseph Smith’s First Vision,”pg. 17-33: Harper reviews the way Fawn Brodie, Wesley Walters, and the Methodist preacher critiqued Joseph Smith’s visionary claims, noting that they start from a priori assumptions that don’t actually hold up. Jeffrey M. Bradshaw, Jacob A. Rennaker, and David J. Larsen, “Revisiting the Forgotten Voices of Weeping in Moses 7: A Comparison with Ancient Texts,” pg. 41-71: A fascinating article that explores the ancient motif of the weeping of both Enoch and the heavens compared to what is found in the Book of Moses. Royal Skousen, “Why was One Sixth of the 1830 Book of Mormon Set from the Original Manuscript?” pg. 93-103: New historical evidence was recently brought to light which allowed Skousen to revise his analysis and form a new, highly plausible, answer to this fascinating historical question. Skousen theorizes that the printer’s manuscript was taken up to Canada as part of the effort to secure a copyright there, and so the original manuscript was used in its place. Stephen O. Smoot, “Shaken Faith Syndrome and the Case for Faith,” a review of Michael R. Ash, Shaken Faith Syndrome: Strengthening One’s Testimony in the Face of Criticism and Doubt (Redding, CA: FAIR, 2008), pg. 105-126: In this book review, Smoot summarizes and supplements the material provided by Ash, making this a very handy apologetic resource, especially if you don’t have the recently released second edition of Ash’s Shaken Faith Syndrome. John Gee, “The Apocryphal Acts of Jesus,” pg. 145-187: Gee provides a thorough evaluation the apocryphal accounts of Jesus, expressing an overall negative view regarding their value for the average Latter-day Saint. Despite that, the paper is highly informative. Readers with an interest in early Christianity should take a look for sure. Val Larson, “In His Footsteps: Ammon1 and Ammon2,” pg. 85-113: Larson provides some very interesting literary analysis on the stories about the two Ammons, showing them to be types of Christ. Brant A.Gardner, “From the East to the West: The Problem of Directions in the Book of Mormon,” pg. 119-153: Directions have long been the hallmark criticism of John L. Sorenson’s geographic model for the Book of Mormon. Sorenson long ago pointed out that directions are cultural, and others have noted the subtle difference in how directions are understood in Mesoamerica. Gardner takes that discussion to a new level by attempting to show how the Mesoamerican understanding of directions can help to resolve some of the directional issues in Sorenson’s model. Gardner does not attempt a comprehensive analysis to see if all of Sorenson’s correlations work based on the text and then Mesoamerican directions, but it is an important first step to working toward a full resolution of the directions issue. A. Keith Thompson, “Nephite Insights into Israelite Worship Practices Before the Babylonian Captivity,” pg.155-195: Thompson reviews the scholarship on the origins of the synagogue, and then suggests that the Book of Mormon, as an authentic ancient text, has evidence to contribute to that understanding, and can shed light on pre-exilic worship practices. Craig L. Foster, “New Light and Old Shadows: John G. Turner’s Attempt to Understand Brigham Young,” a review of John G. Turner, Brigham Young: Pioneer Prophet (Cambridge, MA: The Belknap Press of Harvard University Press,2012), pg. 197-222: Foster, a historian with decades of experience studying Brigham Young and polygamy, provides an important review Turner’s biography of Brigham Young. Foster has his share of cautions (I choose that word because I think it is a softer word than criticisms and more correctly reflects Foster’s views) about the book, but ultimately recommends to the serious student of Brigham Young and Church history. He does not, however, feel that this volume would be the best introduction to the topics for a novice historian or a lay member of the Church. In any case, this review makes for good supplementary reading to go along with the Turner biography. Hollis R. Johnson, “One Day to a Cubit,” pg. 223-230: Johnson, an astrophysicists, proposes an interesting new interpretation of a strange phrase in Facsimile 2, fig. 1 of the Book of Abraham, noting that a “cubit” was not only a measurement of length, but also of degree. Daniel C. Peterson, “Standing on the Shoulders of Giants,” pg. vii-xiii: Peterson reviews the lack of communications technology in the days of Christ and suggests that the apostasy was due, in part, to these pitfalls. He also notes the progress in such technology by the time of the Restoration and since, ever facilitating the increasing demands of this worldwide Church. He then notes how it has made The Interpreter Foundation a leaner, smoother, and more world-wide version of the old FARMS from the 1970s and ’80s. Jeffrey M. Bradshaw and David J.Larson, “Ancient Affinities within the LDS Book of Enoch,” parts 1 and 2, pg.1-74: Bradshaw and Larson review the ways that ancient Enoch literature compares to the stories of Enoch found in the Book of Moses. 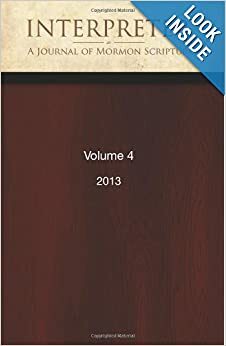 Neal Rappleye, “Trusting Joseph,” a review of Samuel Alonzo Dodge and Steven C.Harper, eds., Exploring the First Vision (Provo, UT: BYU Religious Studies Center, 2012), pg. 75-83: Probably the best paper yet published! Okay, not really. In fact, it is a relatively short book review. But, I did try to make a few important points with this review, namely: (1) LDS truth claims are to some extent dependent upon certain “first steps” in LDS history; (2) that Joseph Smith proves to be generally accurate on the setting of the First Vision and his accounts are generally consistent; (3) contra critical claims, one need not abandon faith upon learning about the historical details of the accounts, in fact those who know them best still believe; and (4) ultimately, the historical record cannot settle the question of whether Joseph Smith is a true prophet who really had a vision in 1820 – it takes faith, and always will. In regards to (3), I note that it is not my intent to argue from authority. Rather, since there are people on the Internet and other places who insist that knowing all these historical issues inevitably leads to disbelief in Joseph Smith and the Church, I am pointing out counter evidence: there are, in fact, many people who are very much aware of the historical record, and who nonetheless believe Joseph was everything he said he was. This will never prove or even be evidence that the Church is true, but it will nonetheless be an important point to make so long as there are critics who make it seem like one simply can’t be intellectually informed (and honest) and still believe in the founding narratives of the Church. Terryl L. Givens, “Letter to a Doubter,” pg. 131-146: Originally a fireside presentation, Givens frames his message as “letter” addressed to a Latter-day Saints struggling with doubt. In remarks that accord with Elder Holland’s latest conference talk, Givens discusses five assumptions that are usually at the heart of the doubt. 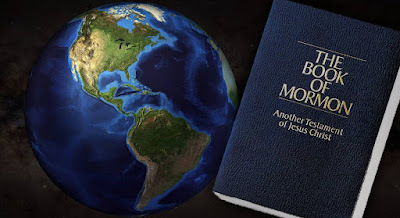 Many Latter-day Saints could resolve or even avoid doubt, if they would take some time to evaluate these and other similar assumptions, and reorient themselves in light of the best information available at the moment, a process I would recommend every Mormon go through periodically. William J. Hamblin, “The Sôd of YHWH and the Endowment,” pg. 147-154: Hamblin explains the ancient Israelite concept of God’s sôd or “divine council” and role of prophets as messengers of the sôd, and does so in a way that is very easy for the lay reader to understand, citing several examples of the divine council scene from scripture. Hamblin then suggests the LDS endowment be understood as a ritual reenactment of the sôd. This paper will give the average Latter-day Saint a new way to think about the endowment next time they are at the temple. Stephen D. Ricks, “Some Notes on Book of Mormon Names,” pg. 155-160: A brief note about the Book of Mormon names Josh, Nahom, and Alma and their authenticity as ancient Hebrew/Semitic names. It appears that this is only the first of what might be many such notes on Book of Mormon names. While some might argue that Joseph Smith just pulled the names from his environment, and indeed these names would have been available to him in some way, the fact is such an argument fails to ultimately account for all the facts. Not every name in Joseph Smith’s environment is attested to in antiquity, so one has to ask what are the odds of Joseph getting the right names? In the case of Nahom, it is so much more than a name – it is an actual, real place that can now be identified as being in the area where Nephi’s narrative leads, and dating to the time Nephi says he was there. It also appears to be used for a wordplay in the narrative. Alma, too, appears to be used in a wordplay, and it must be asked why a nineteenth century Yankee would use a girl’s name for two men in the story. Yet the name Alma is a male’s name in ancient Hebrew sources. Pretty impressive, if you ask me. William J. Hamblin, “Vindicating Josiah,” pg. 165-176 and Kevin Christensen, “Prophets and Kings in Lehi’s Jerusalem and Margaret Barker’s temple Theology,” pg. 177-193: These two articles represent a friendly exchange on the issue of Josiah’s reforms, specifically in light of Margaret Barker’s work. Hamblin disagrees with Barker and points to some of the problems he sees in her scholarship, while Christensen responds primarily by pointing out that the Book of Mormon converges with Barker’s temple theology, and disagrees with certain aspects of Josiah’s reforms, while also acknowledging that Hamblin is correct on some points.